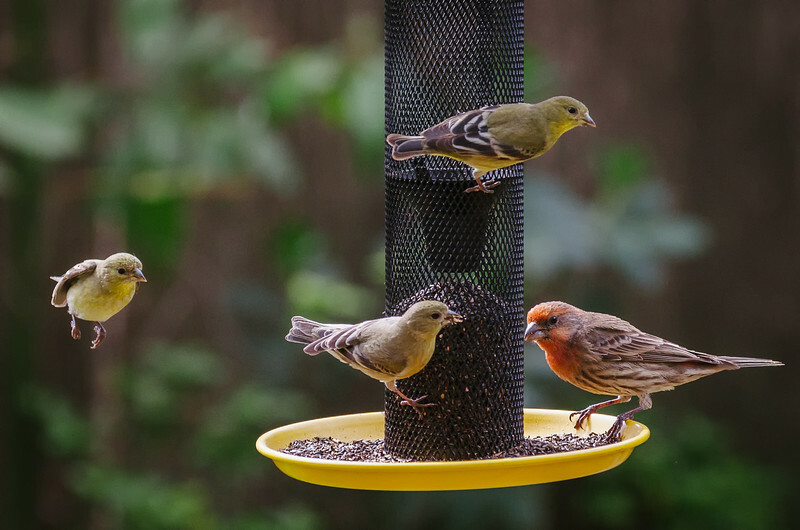 Busy weekend at my finch feeder. 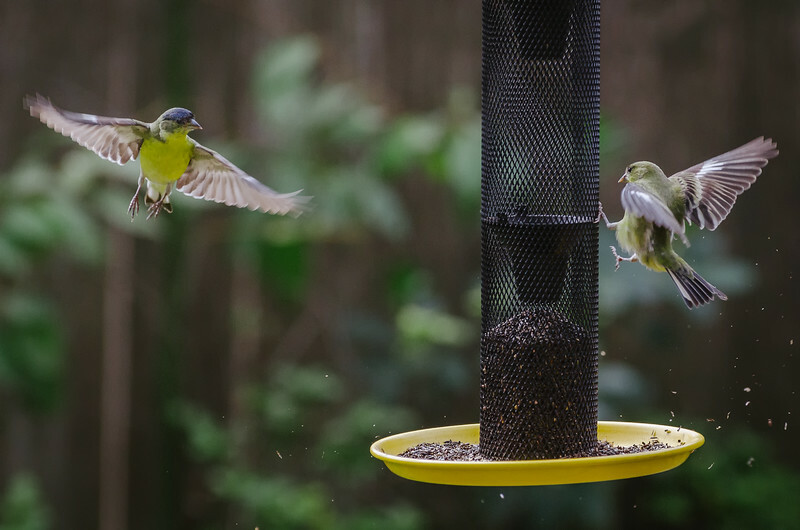 I have more than my share of the finches sitting in nearby branches or at the feeder so I thought it was time to man up and get some bird-in-flight pics. Easier said than done. Finches are fast. Really fast. Hummingbirds are wicked quick, too. But they hover. Finches don't hover. They just take off -- giving nary a hint they're about to take flight. 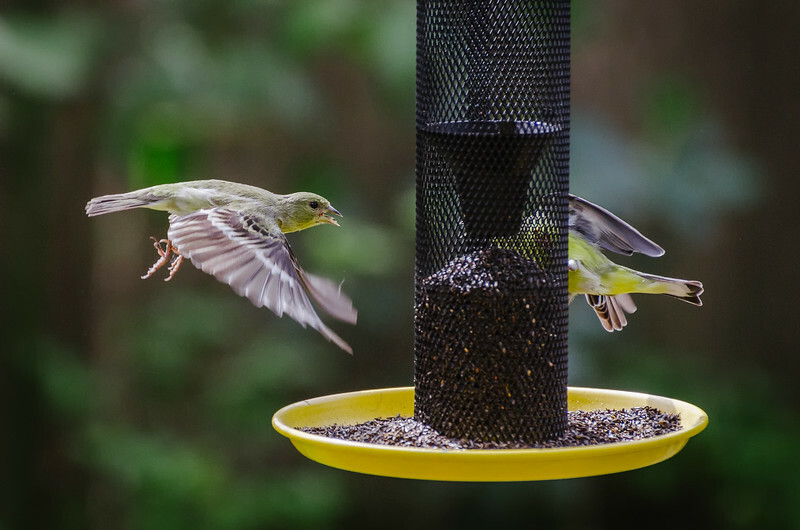 So I put my thinking cap on and decided to jack up my ISO and shutter speed and then point my camera at the feeder and just hold down the shutter release whenever I thought a finch was about to arrive or leave. The above results are the best from 250 shots I took. The feeder is hardly photogenic. But it's a good place to practice bird-in-flight photos because so many finches come and go. 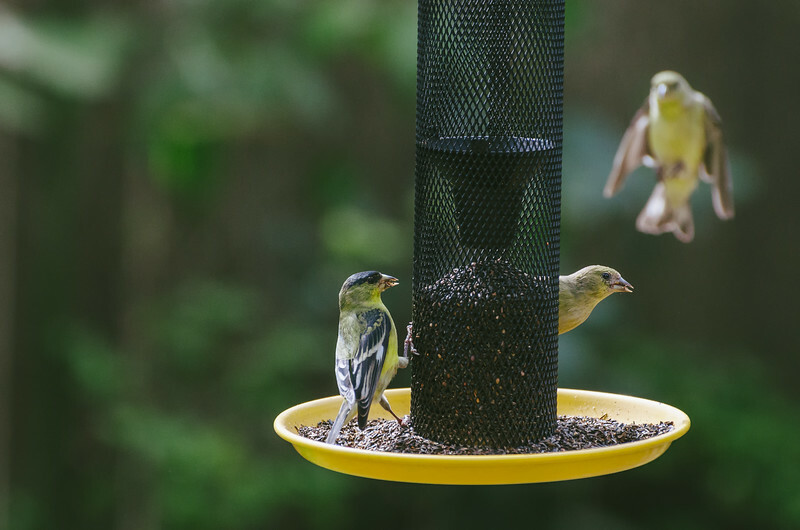 Next goal: get the finches taking off or arriving on a branch -- something a little more natural than the metal and plastic feeder thing. All photos taken with my Nikon D5100 and Nikon 70-300mm telephoto, which is actually a 105-450mm lens on a cropped sensor DX camera (one nice advantage of the cropped sensors is more reach). Shutter speeds were between 1/1000 and 1/2000 of a second. ISO was 800 or 1000, which is higher than I like to go because higher ISO mean more noise. I cleaned up the noise using NIK Dfine, part of the NIK software collection from Google.